Together with the Rutland Osprey Project and the Leicestershire and Rutland Wildlife Trust, we are thrilled to be sponsoring one day “Reserve Expert” activity days in 2019. There will is a choice of two dates for 8 - 12 year olds and two for 12 - 14 year olds during the summer holidays based at the Lyndon Nature Reserve on Rutland Water. Do you want to become a “Reserve Expert”? 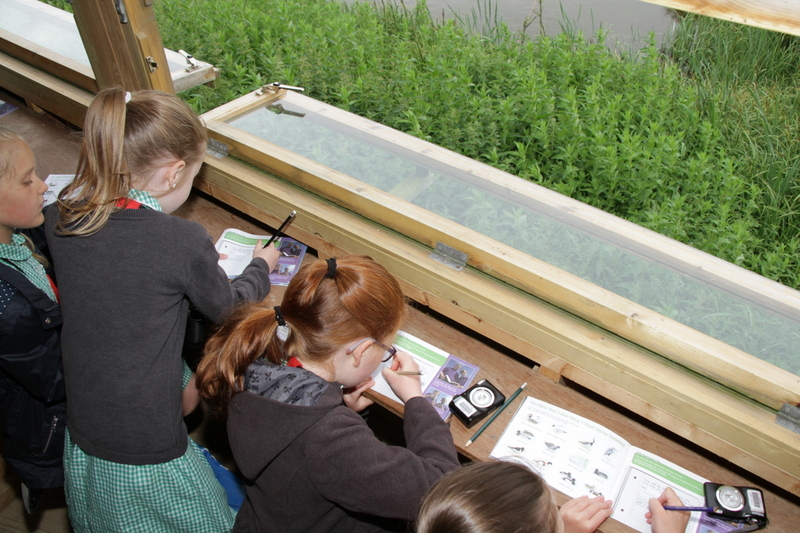 Children will be given the chance to work with the Rutland Ospreys team to learn more about Rutland Ospreys and other wildlife on the reserve. There will be lots to do, with plenty of activity sessions including bird ringing, an osprey study, bird identification using visual and sound clues, a feather and an owl pellet study. Children will also get the chance to visit the hide to see the Rutland ospreys and find out more about tracking and monitoring these birds. A “log book” will be provided to note down the animals seen during the day. At the end of the day the participant will be given a Reserve Expert certificate. You should apply by 1 April 2019. We will let you know that you have a place by 28 April 2019. Budding naturalists dissect owl pellets.